The condo was roomy and well appointed. 4 full bathrooms was great. The cleaning staff were excellent and Alex helped to get us settled. The main balcony could use a table and some lounge chairs. A dishwasher would be a good addition as well. We are very glad to hear you had a lovely stay. Thank you so much for taking the time to share your experience. Your feedback is really appreciated. Please contact us for a future stay, we will be happy to assist you! It was great! Perfect for us girls!! The location was clean and the people were nice! The beds were not the greatest but hopefully they can replace them.. Thank you so much for your comments!! Peninsula 3A is a beautiful condo!! I'm glad you found it clean and well maintained!! Location is great and it is perfect for families and friends. Please do no hesitate to contact us for a future reservation, we happily offer return customer discounts. This 3 bedroom unit was very nice. Great views, lots of room for our family of 7. It is quiet in this area, which was great for us. I'm so happy you were able to enjoyed your stay at Peninsula Grand 3A, this condo is spectacular!! Lots of space, great decor and as you mention the view is unbeatable!!! The complex location is so convenient!! I hope you can stay with us in the future, please contact us for a return customer discount. Thank you so much for your feedback!! Reviews are very important to us as they help us have more potencial guests and improve our service. Please do not hesitate to contact us for future booking as we always have a return customer discount !! My husband and I stayed here for 3 nights. It was perfect. 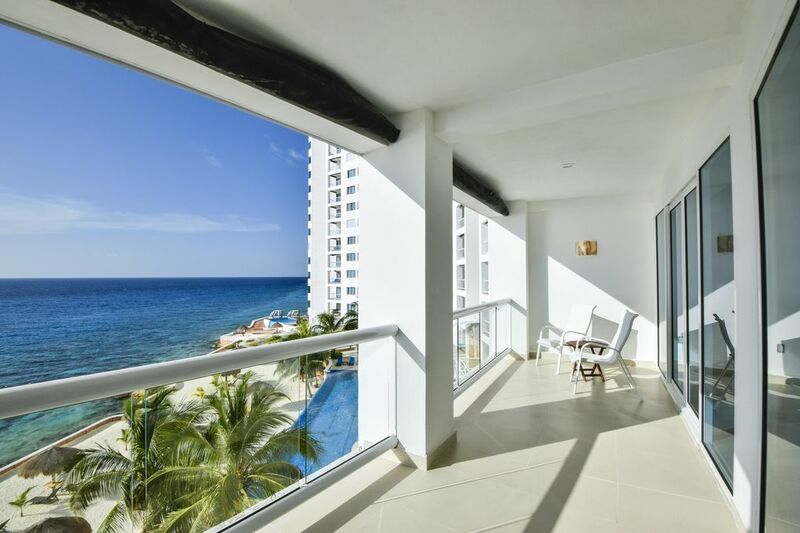 Condo balcony overlooks the gulf for an incredible view and beautiful sunsets. The bedrooms were very nice - we only used the master, which also had a very nice balcony. Air conditioning worked great. There was snorkeling directly in front which we enjoyed. Pool area was never overly crowded. There is restaurant on site for simple dishes and cold libations. We went into town and enjoyed dinner at a couple of local spots. Jeep rental done through Ernesto's - cheap, functional island beaters. Would definitely come back!! Me, my husband, daughter and her boyfriend stayed here for 5 nights. The rental was easy to do online and pay online. When we got there it was easy to get in to the condo. The condo was big and clean and we all had our own room with bathroom. Two balconies overlooking the beautiful carribean waters. The place had a beautiful pool and beach area. Snorkeling was great right in the front of the unit. It was not crowded and at, private and peaceful!